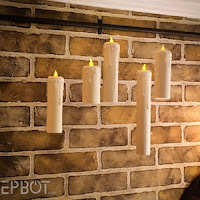 EPBOT: February Art Roundup: Trek Ladies, Potter Cards, & Squee-Worthy Owl Dolls! 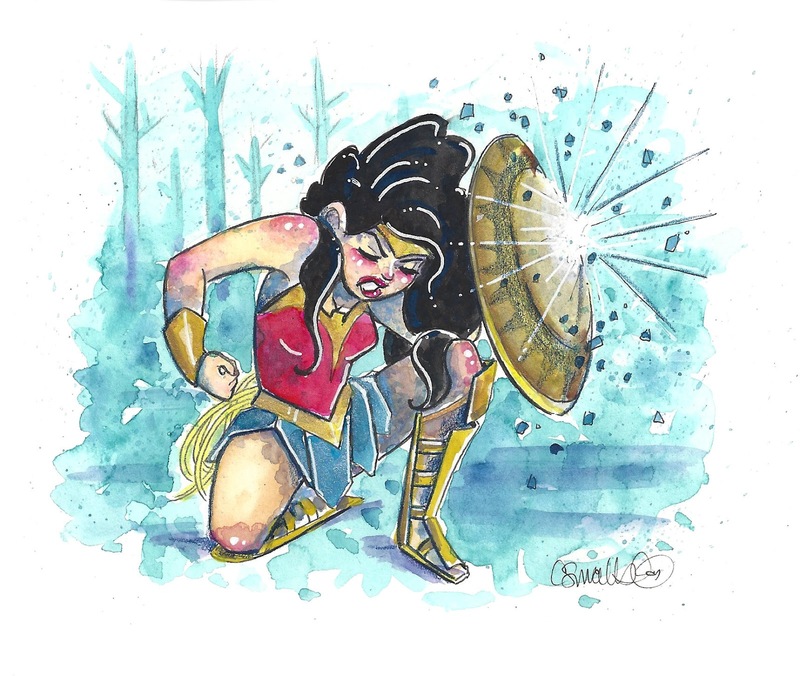 February Art Roundup: Trek Ladies, Potter Cards, & Squee-Worthy Owl Dolls! Ahh, it's been too long! Sorry for skipping last month's art roundup, gang, I'll try to make up for it with the sheer awesomeness of this month's finds. Prints are $10 or less in her Etsy shop, where she also offers commissions! Also be sure to follow Ord on Instagram for more eye candy. 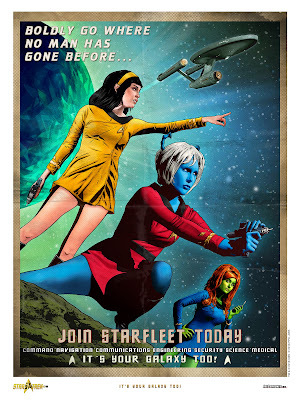 I'm digging the all-lady design on the "where no man has gone before" poster. I like how it's putting a spotlight on background characters, and the colors are drool-worthy. Go check out Corroney's online store to see tons more. They're double-sided, sealed in thick shiny plexiglass, and look fabulous in person. THEN Lisa has an entire deck of playing cards, each featuring a different original painting of a character from the books. John immediately asked if Lisa had Kreacher in her deck, and upon learning she did NOT, began a spirited, multi-session debate over who the best character in the entire Potter 'verse is. Lisa argued - quite convincingly, I might add - for Hagrid. See the rest in her Etsy shop! Upon further investigation I realized it was a real-life art doll, and about blew the roof off with my squealing. Hope you guys found some smiles and new artists to follow! Now, let's give away some art. Both were only available through the Wonderground Galleries at the Disney parks, and I don't think you can buy them anymore. So be sure to tell me in your comment if you like either/both of those, so I can enter you in those drawings, too! I'll ship anywhere, internationals welcome. I'll announce all three winners in my very next post, so PLEASE REMEMBER TO CHECK BACK. Unclaimed art will go to whoever's the fastest commenter on Facebook, ha. Happy commenting, and happy Friday! UPDATE: The give-away has ended! Love that Harry Potter art! That pink owl is making my heart explode with the cuteness. Oh my goodness. As always, amazing art! I am not artistic and am astounded by the talent these folks have. Please enter me for all 3 giveaways. Thank you! Love all of it! Please enter me in the wild card as well as for the two others - they're all so adorable! I love the owls! 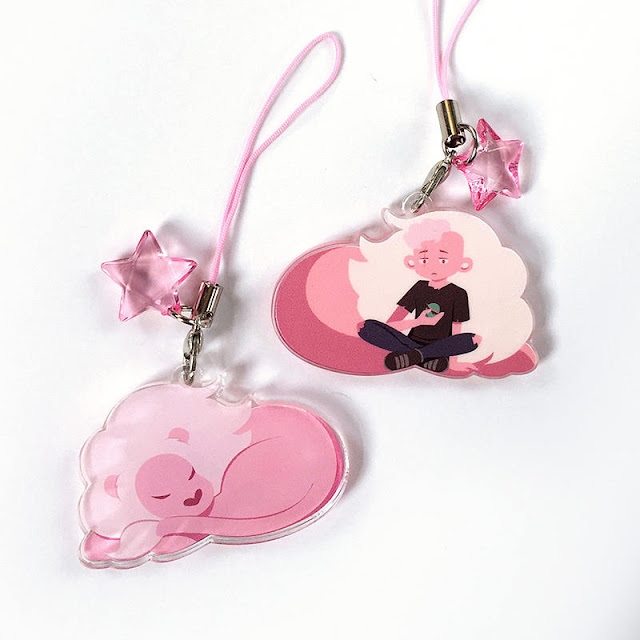 And keychains. And Moana. Well, now I have to budget $50 for a deck of cards and then try to figure out how to display them. Thanks a lot. I...I love ALL THE THINGS! If I had to chose from the Pinterest board, either Wonder Woman or Labyrinth. Yay art roundup! You find such wonderful things, Jen! Put my name in for all three drawings, please. The Moana painting is so pretty and love Date Night. When I was younger I use to collect Minnie figurines. Wow, the owls are just beautiful. Love the Date Night giveaway too! I can not get over the cuteness of the owl! Enter me for Date Night, please! Wow, the art for those Harry Potter playing cards is fantastic! I love the "Date Night" print, too. 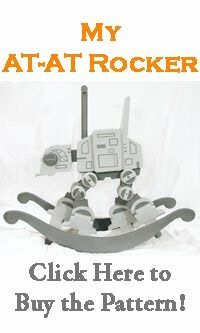 I would love the AT-AT Walk by James Marcia from the Pinterest Give-Away board. Love it!! Thanks for the art roundup! Please enter me in the wildcard giveaways too. So many Pretties! I love both the Disney prints, and love seeing what you add to your giveaway board on Pintrest, too! Okay, those owls are amazing. You find the best things! I love both of those prints so please enter me in those draws and the wildcard draw. Thanks for the giveaways! I want another chance to win some art... seriously my walls are begging for something new. And I think the “date night” Mickey and Minnie print is adorbs. Love the new-ish Harry Potter trio and the Space Mountain poster. Also both the Oswald at Date Night pix. Cutest! I seriously want Date Night. TU CUTE!!! Wonderful selection as always. Lots of tabs open after reading that one. Holy cow, that Harry Potter deck is fantastic! I agree, those owls could definitely be art prints! I've love to win something from the giveaway board. And thanks for another awesome round of inspiration! I love it all, Jen! 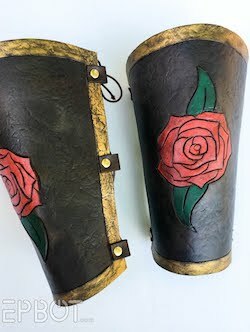 So many new things in my Etsy Wish List! I love those both. I would gladly take either off your hands. Yes! Please enter me into the drawing! 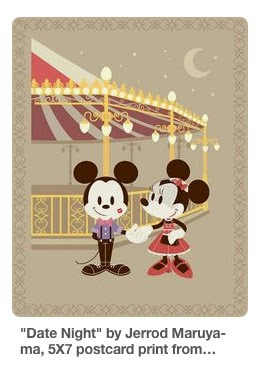 And I would also LOVE the Mickey and Minnie Date Night print! My 6 year old daughter no longer likes to wear her hair up. She wants it down, like Moana. 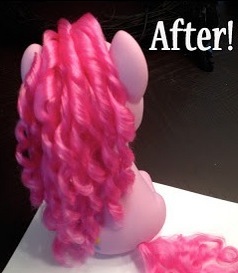 Planning on buying the Moana hair print for her room. It's gorgeous. Thanks for sharing! Please include me for the drawing and for Date Night! I am am obsessed with Jerrod Maruyama! My goal is to make it to the EPCOT art festival when he is there doing his signing, or to Wonderground. I also absolutely in love with the watercolor Mary Poppins. Wildcard and date night please! Please include me in the wild card and date night drawings! This is one of your best Art Roundups ever, and that's saying something! However, there was only one artist this time who really made my socks roll up and down, and that was Genevieve Kay, with her watercolor Disney ladies and peonies. Sooooo gorgeous! Please enter me in the drawing for Oswald. I meant to say "for wild card and Oswald!" 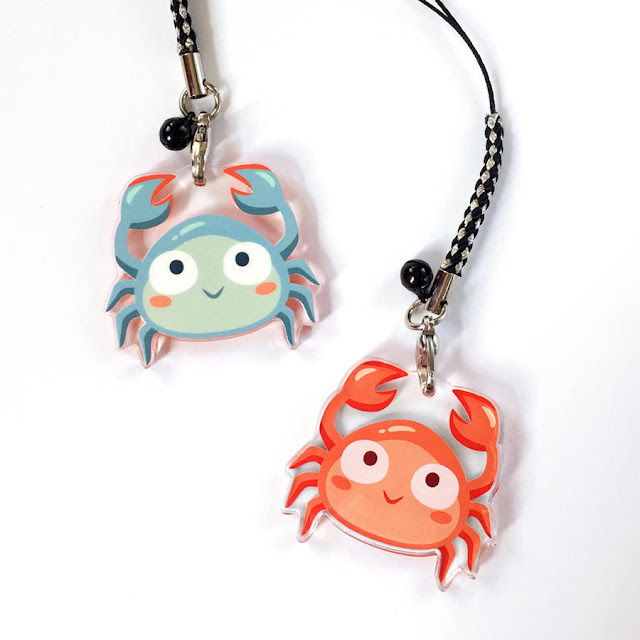 I think I just might need that little crab keychain. The Star Trek posters are also amazing! Please enter me for the wildcard and both of the Wonderground Gallery prints. Thanks! Enter me for "Cute As A Button" please! Wonderful lineup, Jen! It's so fun to see the cuteness. Please enter me for the wildcard drawing and the Date Night! Oh my goodness, so much good stuff!! I would love the Samus picture by Jon Lam, or the sweet picture of Vader taking his AT-AT for a walk. Or anything, really. Count me in for the draw - and thank you!! Great art, as usual! And I’d love to be entered into the extra drawing for the umbrella painting! OMG the owls!! I need to convince myself that I cannot afford them! Another great round-up, THANK YOU! I'd like to be entered for any and all goodies. I honestly can't decide what my favourite art is (again). So many beauties! These posts are always so beautiful!! I love the Toothless print as well as the black cat and the squee-worthy trash Rocket! 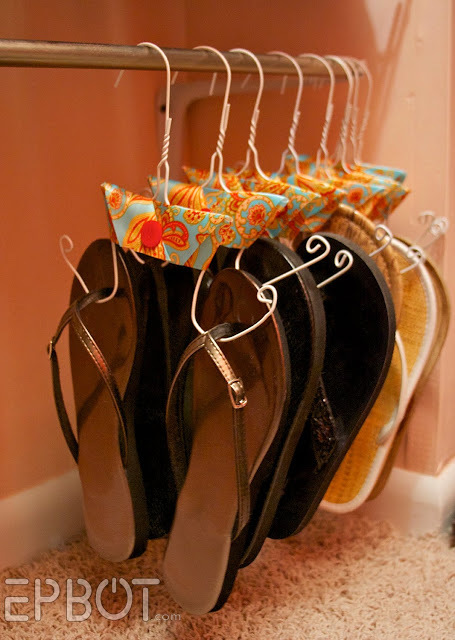 I’d love to have one for me room! Holy cow!! Those owls are AMAZING!! I am seriously having a hard time believing that they aren't paintings. Also those Harry Potter cards? !😍 Please also put me down for the Date night print drawing. You find the best stuff! I like both of the extra prints too! This bright and colorful beauty was exactly the spot of happy I needed to find today. Thank you for these posts! Wow! I really appreciate the art finds. Thank you! I would like to be entered for pinterest board and the Oswald print, please. I love it all and want to win! Just the wild card draw, please and thank you! These are my favorite posts! Extra fingers crossed this month for a wild card win or date night! Those dolls are super cute, if I get any piece the date one would be very nice. I would LOVE to be the wild card winner! 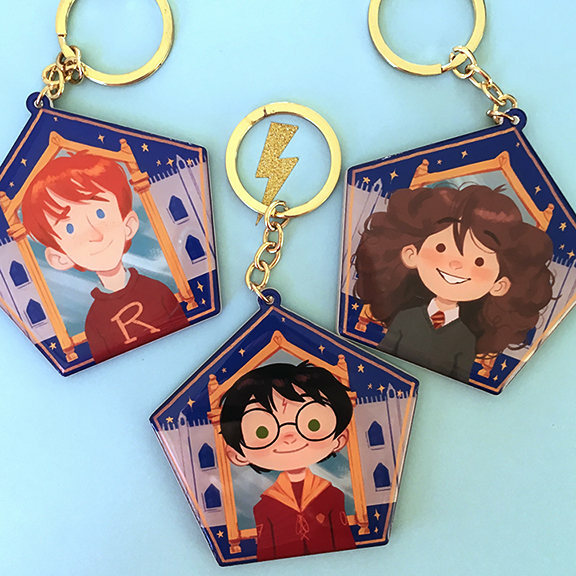 Those HP keychains! That Moana print! That Princess Leia tribute! This is a particularly good round-up. Those art dolls. So much squee!!!! Now I wish I played cards! Those Harry Potter cards are amazing! I don't know that I could pick one. That Hagrid print is pretty stunning, though, have to admit. So once again, please enter me in the wildcard draw! Thanks for all the pretties. Fun art this month. Please enter me for the wildcard drawing. Thank you! So Cool! Please enter my name for the wildcard and "date night"
Love your art picks!!!! Please enter me for all the drawings. 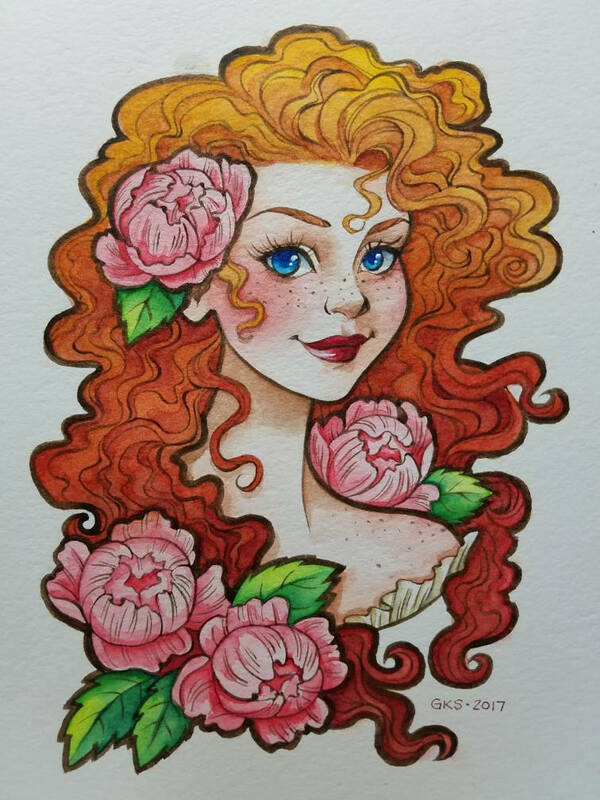 Thank you for the art roundup! Hope you’re over the worst of the winter sicknesses! 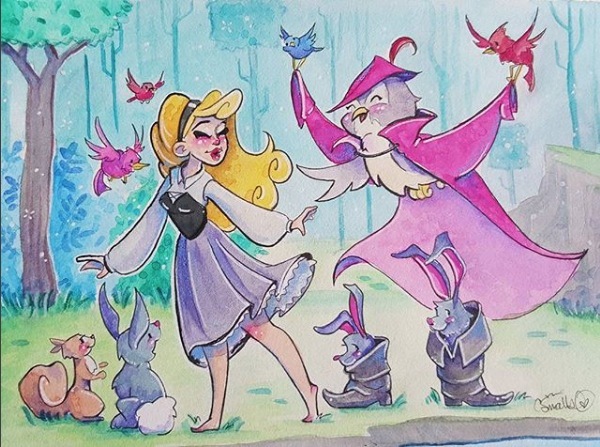 I love the Disney art, both of them, so cute! Live the owls and the Harry Potter art. Yay, it's back! Enter me as a wild-card winner :) Thanks so much for doing this! Such great new art! And I would love to give the Oswald piece to my son. Oh, I love all of this! So many pretties! I love both the Disney prints, and frankly, so many things on the pinterest board, too! I would love to win any of them. I’d be happy to win any of the drawings, including the wildcards. 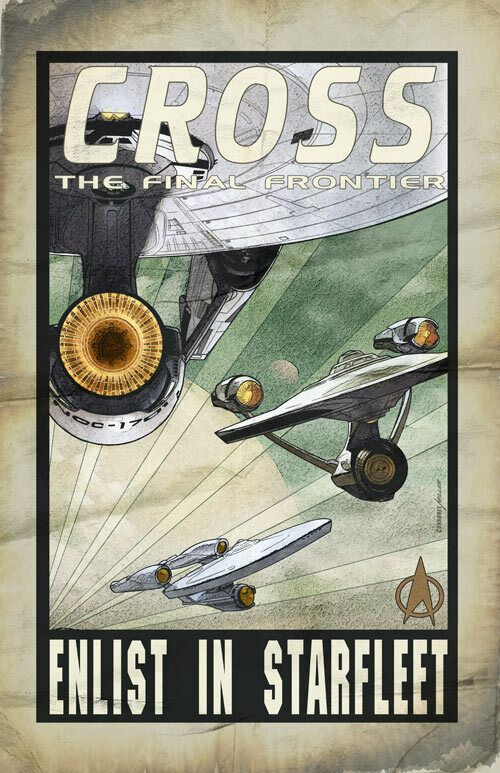 Love the Star trek prints. 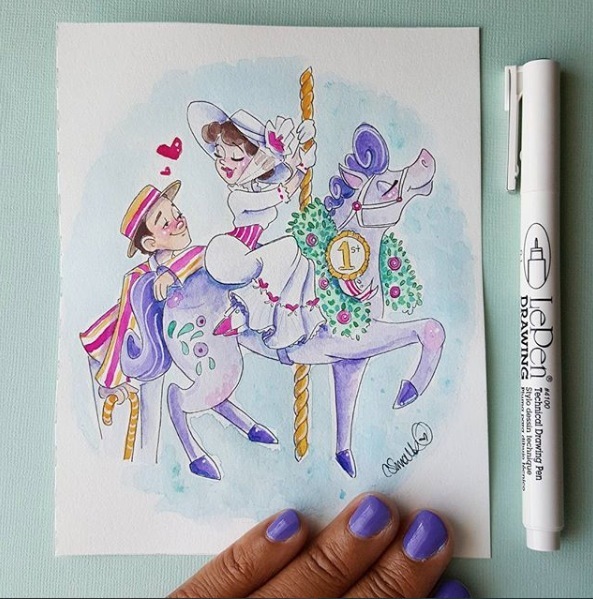 I'd also like to be entered in the Date night drawing - it reminds me of me and my husband at disney when I drag him on the carousel (even though I guess that's not technically a carousel behind them...). Those owls though . . . 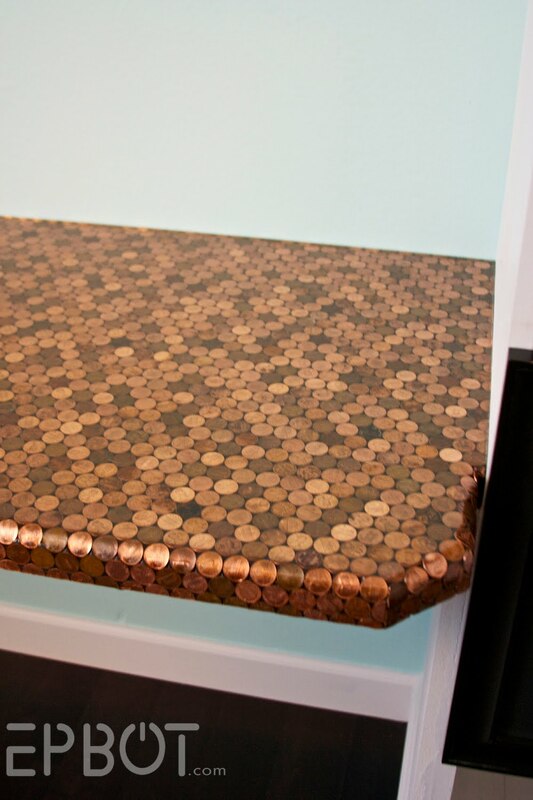 Thank you for the awesome examples...my wallet is totally lighter! I love everything from the Disney art to the new additions to your board!!! I still need that armless Wamp-PAL and I adore the retro travel Space Mountain! Those owls blew my mind! 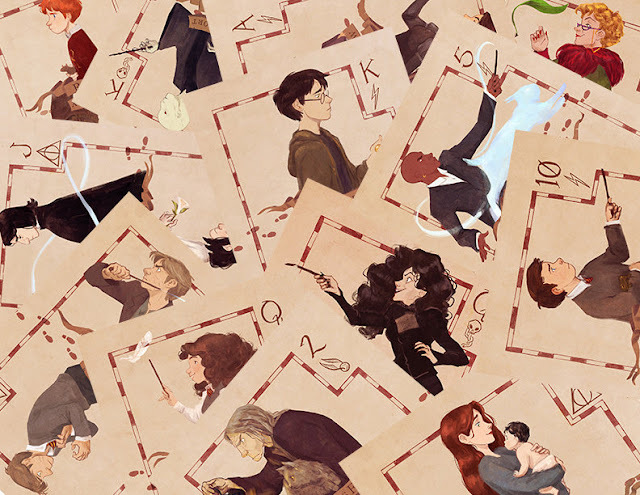 Love the Potter art! And I'd be interested in drawing for the M&M Date Night postcard. Thank you for another great post! I love all things Mickey... please enter me for all 3 draws! I love the date night print! We went to Disney World on our honeymoon so it'd be perfect! As for the art you have, I really like the Date Night one over the Oswald one. Sign me up for everything!! this is all so gorgeous! Oh, I'd love to be considered for the Oswald in the rain print. Thank you for all your delightful sharing, I enjoy reading and seeing it very much. I am running out of wall space! But, uh,I will make room for more. :) Date night is so precious! I'd love either one of those, and I LOVE the Harry Potter trio on the give-away board! Oh my goodness, I need that date night print. Wow all of these are so gorgeous! I really like both the Mickey Mouse drawings and I am adoring the Wonder Woman as well. So lovely. 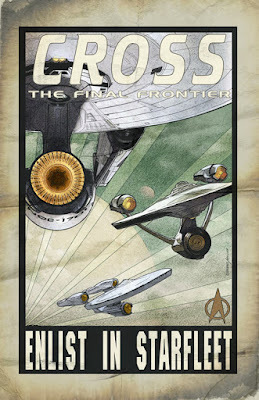 I love the Star Trek propaganda, I will have to add them to my wishlist. Please enter me for all the drawings! First I need to say that I really hate you for showing me the Harry Potter cards because my bank account is now crying in a corner. Oh Jen! Thanks as always for introducing us to some cool new artists. I'd love to be entered for the Date Night wild card as well as the regular drawing for a shot at something from the board. There's one piece on your Pinterest board that is still there after all this time. I think it must be mine :) Just the wildcard for me; I'm sure many others here can give the Mickeys a good home. I admire your generosity - thanks for everything! Maybe this month it will be my lucky day and I will be able to win my favourite Doctor Who art work. I live in hopewith fingers crossed. Hello, I'd like the oswald or something from the board (I might need to confer with my lovely brother). Oswald seems so much more alive than mickey (full stop). Love the date night print! How do you choose the winners? Is it random, or do I need to convince you? Just yesterday I rewatched the Doctor Who Time Heist episode, and there it is on your Pinterest board. That means I should have it, right? I would get AT-AT Walk for my son, but it’s so hard to choose! 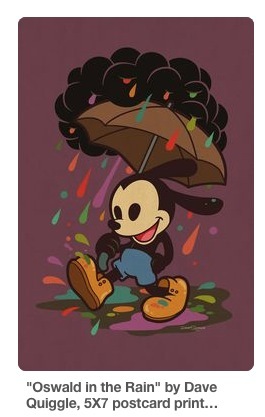 Oh, I love the colors on the Oswald in the Rain print. I'd like to be entered for that one, please. Thank you! Oh, that Hagrid card tears at my heart! Please enter me int he wildcard drawing. Is there anyway to be entered in both give aways? I love both those prints and could never choose! 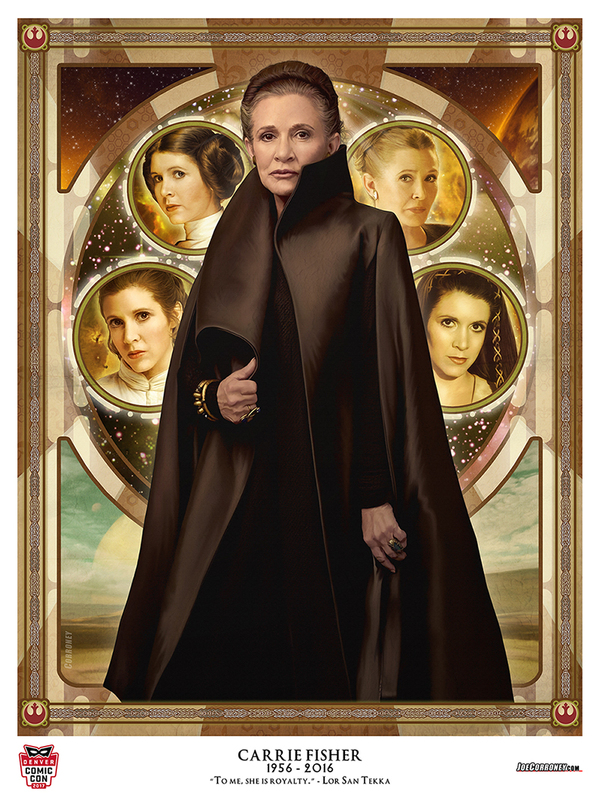 Oh, my...that Leia picture just hits you in the FEELS! I'm going to have to share that link! I just looked up Lisa Villella's shop. So many beautiful things! The Hagrid print made me so teary that I'd probably have started crying if I wasn't on my laptop in a coffee shop. So, thanks for that. :) The whole deck looks amazing. I'd love to be entered for Date Night, please! Thank you! I love these! They are all amazing! And those owls!!!! Squeee!!!!!!! Those art dolls are amazing! 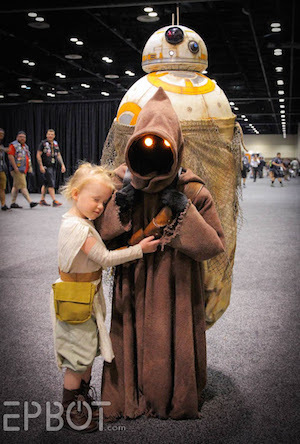 And adorable and odd at the same time. 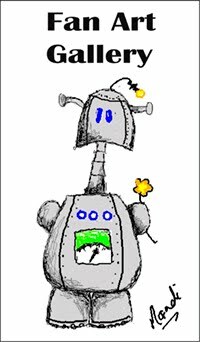 I love "The Trip of Tomorrow" on the Pinterest board, and would like to be entered for the Art Board pick! I always need more art. And I love the Harry Potter cards! Ooohhhh...new artists to follow on ig!! As for the giveaway - I love basically all of the pinterest board...the Strawberry Gryphon, HP trio, Boo, Stitch, the R2/BB8 duo...aaaaaaaahhh. Too cute! Oh And Beauty and the Beast of course. So good. That SU charm is so freaking awesome I need one! OMG my daughter would LOVE Oswald! <3 Please enter me in the "Date night" and wildcard drawings :) Amazing art as always! I love them all! Oswald in the rain is adorable! Ooooo, my daughter is completely obsessed with Moana right now! Thank you for having a giveaway! Please enter me in all three drawings. All of the art is so amazing. Wonder Woman? Moana? Oswald? So much goodness on a day when I'm sick in bed. Thanks for sharing and bringing us all an endless supply of joy. 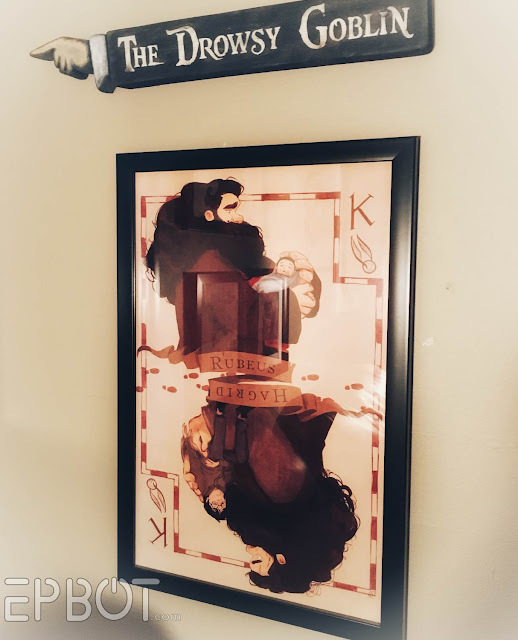 I genuinely started sobbing at that Hagrid print: so powerful! I love your art roundups! <3 The White Forest Studio dolls look AMAZING! OMG! You find the best stuff! I now have a bunch of Lisa's art on my wishlist, including, like ALL of those chocolate frog keychains. Oh, I'd like to enter the drawing for all three! My youngest is obsessed with Mickey and Minnie, and her sisters aren't far behind :-). I love them all! Thank you Jen! They're all so amazing! 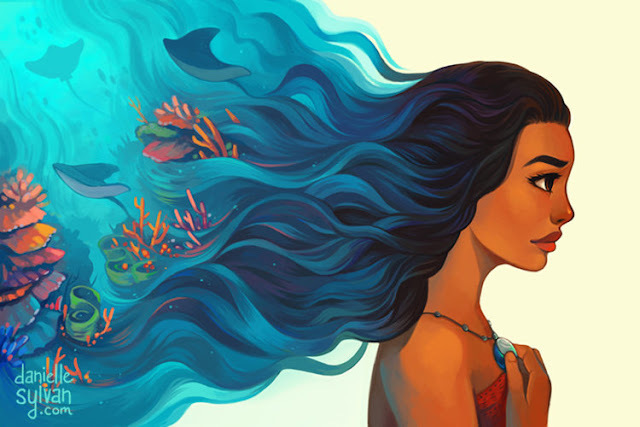 That Moana is so stunning. Love them all!! As usual! The wild card drawing, please. Both, all-- sign me up! =) Thanks! So much gorgeous art and thanks to you, now I really look for those smaller pieces of art at cons. I have some I want to put up along with smaller merch like playing cards, my displays need a little work but they're getting there. I'd love to be in for either of the wild cards. Thank you. I literally just got back from meeting Danielle Sylvan at a convention and buying as much of her art as I could afford to. She has this one print of Howl and Sophie from Howl's Moving Castle that is simply to die for. Ooh, put me down for "Date Night"! The last time I was at Disneyland was when my husband and I had just gotten engaged, so that would make a great tribute/hint to go again. I don't think I can believe that Joe Corroney's stuff is drawn art. It looks like photography. Those Harry Potter Cards are amazing!! I'm in love! And that Date night card is too cute! So much loveliness!! Please enter me in the wildcard. Chocolate Frog cards are amazing! 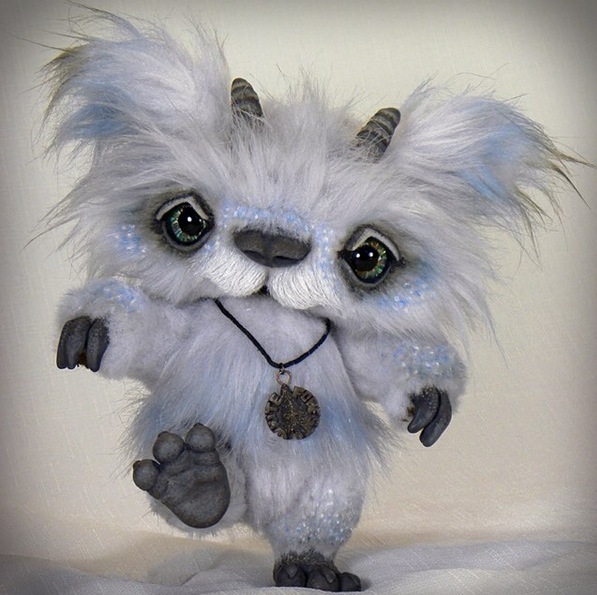 I always love your art round ups but those White Forest dolls are unbelievably adorable! Love the mickey and minnie date night as well as the 2016 Epcot flower and garden trio. Joe Corroney's stuff is fabulous!! I might have to pick up those playing cards. Thanks again for the awesome round up! 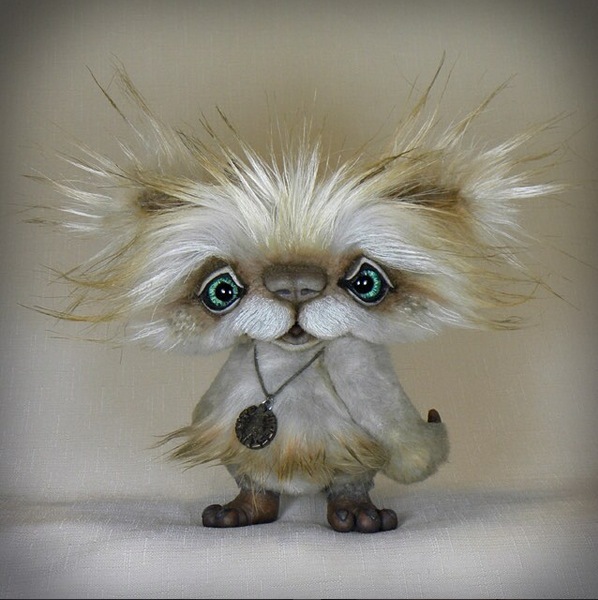 White Forest Studios' fluffy dolls remind me of Wood Splitter Lee's art. Enter me for the wild card, please. So much gorgeous art, as usual. I'd love to be entered in the wild card drawing. So. Many. Pretties!!! <3 I'd love to be entered into all three drawings. Thanks for being so generous in sharing your art finds with us! Your art posts are my favorite kinds of posts. Tied with costume posts. And nerdy posts. OK, really I just like all your posts. Please enter me for all 3 drawings. One day I would love to meet up with you Jen, I love your blog and your taste in art! Please enter me in all of the drawings!! Awesome stuff as always and more artists to follow on Etsy! The Date Night print is also super cute! I love the Labyrinth print! As usual, I want to buy All the Things. Such great picks! Love the keyrings and playing cards, I will be spending a bit of time looking at that shop, thank you. 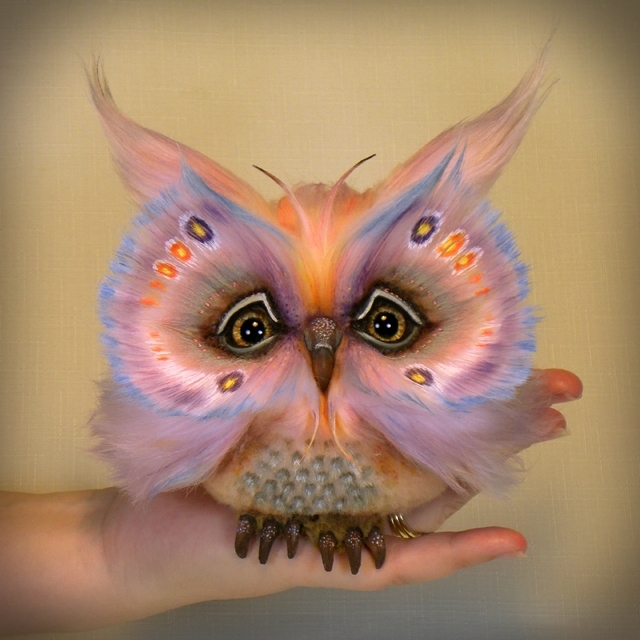 The owls did not help to suppress my urge of becoming a crazy doll-making lady when I grow up. And both the wild card ones are wonderful, count me in both, please. I love the watercolors at the very beginning of the post-- they are so pretty and sweet! i just decided this weekend that I need more fun art in my craft room - I love both of those wild card pieces!!! Please put me in for all the draws. Thank you for sharing your finds! So gorgeous! I do also like the "Date Night" print. 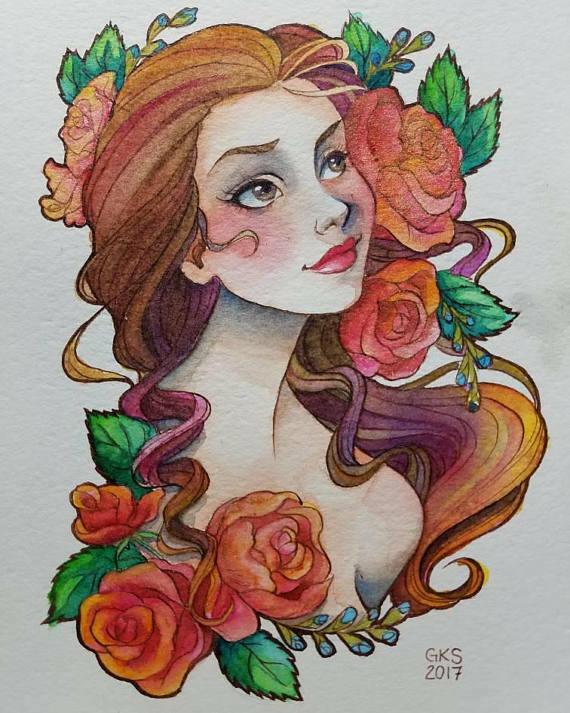 Winning any of the art giveaways would be fabulous! I especially love the Date Night you posted above! And I think I have a few more etsy stores I need to go drool over and tell myself I need prints for my craft room as an incentive to finish cleaning it! Like them both. 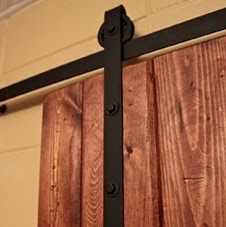 You have some great looking pieces on the Pinterest board. Amazing finds, as always! I like the Mickey and Minnie Date Night! 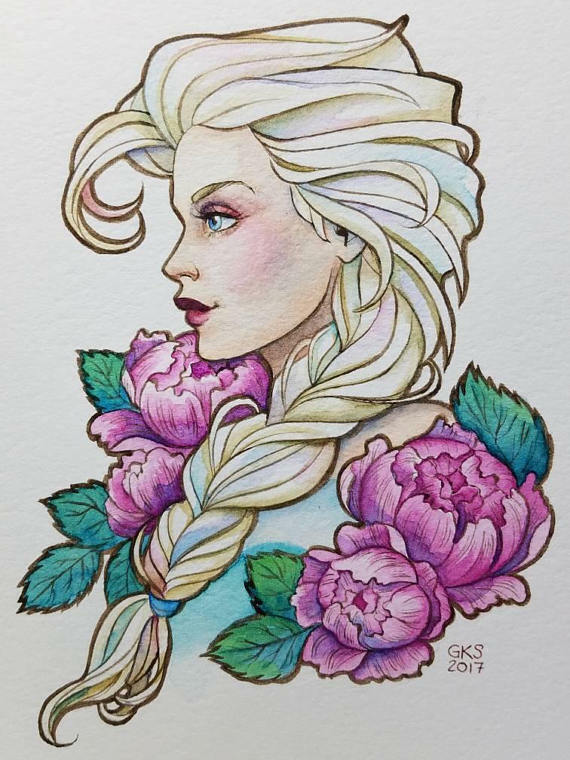 Loving the Harry Potter and Disney art. Please enter me for the wildcard and the "Date Night" print! So much beautiful art! I would love to pick from your Doctor Who items on your board. Thank you for doing these drawings. I love those chocolate frog card keychains! I love the date night print! And I would love to be entered for the wild card drawing. You always find some new artist for me to add to my Etsy favorites. Yes I love the HP key chains and who wouldn't want those added Mickey prints? I'd like to be entered in the drawings for the Oswald and Date Night prints--they're amazing!! Stellar art, as usual. Thanks Jen and John! Love Wonder Woman, Moana, and the HP keychains! I'd love to be entered for the Mickey and Minnie print aa well as the regulat draw! Those art dolls from White Forest Studios are amazing! I want a whole room full of them. Love those Harry Potter cards, and those owls!! Omg so beautiful!! Oh, I'm in for the extra two. Love the Steven Universe. I would love the Date night print or any of your wild cards. Gimme gimme gimme! So many grabby hand-worthy things to grabby hand! I want them all and need to add onto my house to squeeze them all in. 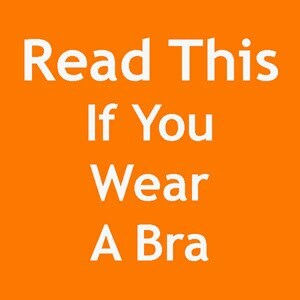 Don't think I won't do it! I absolutely love the Wonder Woman and Mary Poppins (Just finished her book last night!) pieces, and I always adore ANY Harry Potter pieces. Please enter me for the Mickey wild cards, too! Wait. What Day Is It, Again?